Car Won't Start? Flat Tyre? Out of fuel? Flat battery? Lost your car keys? 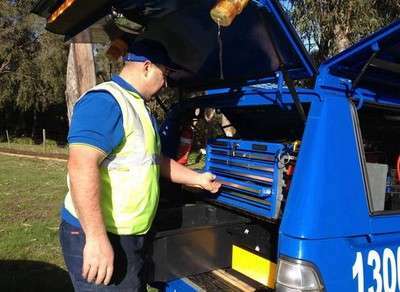 Roadside Assistance are available 24/7 providing fast and reliable service in Langwarrin and the surrounding areas. No Membership needed! Get prompt and reliable roadside assistance in Langwarrin and the surrounding areas. Whatever your vehicle, car, truck, trailer or caravan, we're there to help; wherever you're stuck, we're there to help you to get moving. With Roadside Assistance Langwarrin our goal is to get you going again. Not all repairs can be completed via an emergency breakdown service. If your car requires more extensive repairs then a tow may be required. If required we can assist you in organising a tow and a taxi or we may be able to drop you off at a convenient location. If your car doesn’t start and you get stranded by the roadside, call Roadside Assistance on 0418 995 673. MOBILE MECHANIC LANGWARRIN | WE'RE JUST A PHONE CALL AWAY! For all of your vehicle support needs in Langwarrin, call Roadside Assistance. From small issues, jumpstarts and tyre changes to vehicle towing, we've got you covered!